Velodyne LiDAR today announced that, in the first deployment of fully autonomous production vehicles, driverless technology specialist NAVYA will implement Velodyne's real-time 16-channel 3D VLP-16 LiDAR Pucks as part of a two-year, two-vehicle test with Swiss public transport company PostBus Switzerland Ltd. The fully autonomous, driverless and electric ARMA shuttles will be subject to two-phase testing. 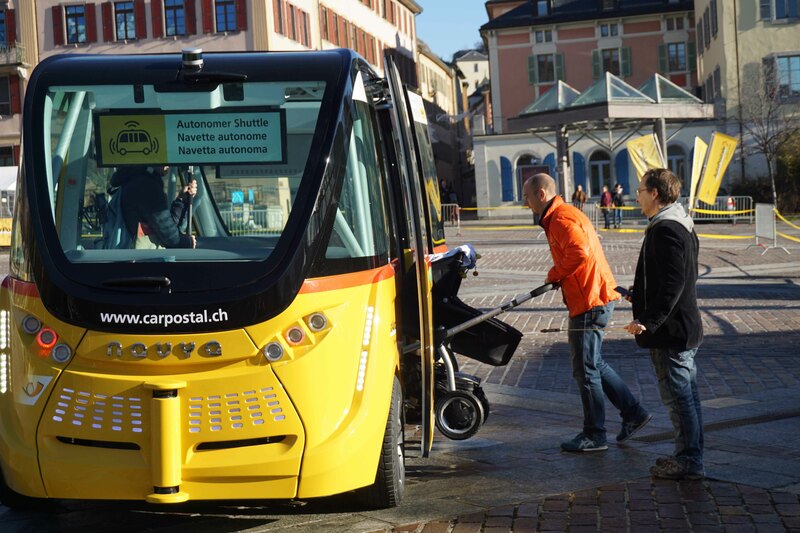 The PostBus vehicles will initially be tested on a private, closed site through the spring of 2016. 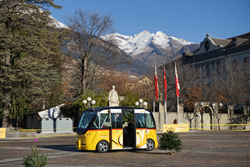 Once pilot-testing is authorized, the two shuttles will be able to run on public roads in the Swiss town of Sion, the capital of the Canton of Valais, and carry passengers in autonomous mode (https://www.youtube.com/watch?v=RwX7HTFHB8w). 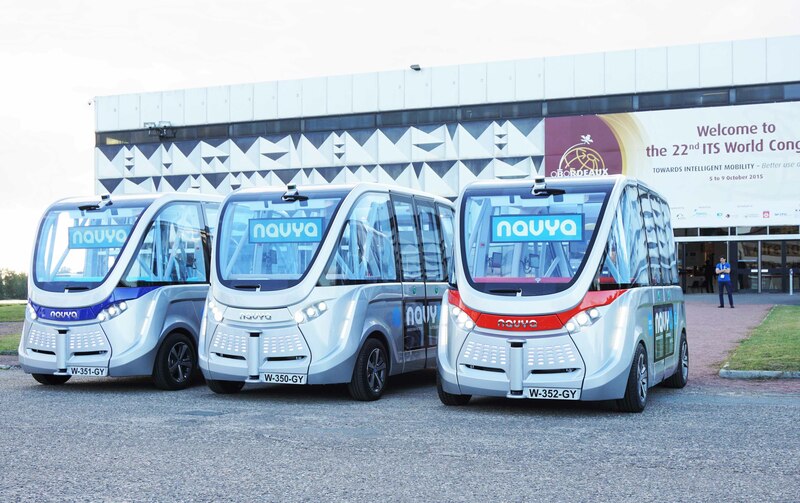 ARMA shuttles will enable transport specialists to look into how they integrate into public areas and enable them to test innovative modes of transport. The aim is to offer an additional form of transportation on current routes to cover the needs of all users -- in particular, those who live in areas not currently served by the public system. PostBus is the leading bus company in Switzerland's public transport network. With over 3,700 employees and almost 2,200 vehicles at its disposal, PostBus carries more than 140 million passengers each year on 869 bus routes. Its trademark – the three-tone horn and the yellow Postbuses – are part of Switzerland's cultural identity. The PostBus brand embodies the values of reliability, security, trust and development. Founded in 1983 and based in California’s Silicon Valley, Velodyne LiDAR Inc. is a technology company known worldwide for its real-time LiDAR (light detection and ranging) sensors. The company evolved after founder/inventor David Hall competed in the 2004-05 DARPA Grand Challenge using stereovision technology. Based on his experience during this challenge, Hall recognized the limitations of stereovision and developed the HDL-64 Solid-State Hybrid LiDAR sensor. Velodyne subsequently released its compact, lightweight HDL 32E sensor, available for many applications including UAVs, and the new VLP-16 LiDAR Puck, a 16-channel real-time LiDAR sensor that is both substantially smaller and dramatically less expensive than previous generation sensors. Market research firm Frost & Sullivan has honored the company and the VLP-16 with its 2015 North American Automotive ADAS (Advanced Driver Assistance System) Sensors Product Leadership Award. Since 2007, Velodyne’s LiDAR division has emerged as the leading developer, manufacturer and supplier of real-time LiDAR sensor technology used in a variety of commercial applications including autonomous vehicles, vehicle safety systems, 3D mobile mapping, 3D aerial mapping and security. For more information, visit http://www.velodynelidar.com. For the latest information on new products and to receive Velodyne’s newsletter, register here.